Malware is the shortened form of malicious software. Malware is an umbrella term used to refer to a variety of forms of hostile or intrusive software including Ransom wares, Computer Viruses, Worms, Trojan Horses, Spyware, Adware, Scareware etc. This is any program or file that is harmful to a computer user. The term refers to software that is deployed with malicious intent. Malware can be deployed even remotely, and tracking the source of malware is hard. It can take the form of executable code, scripts, active content, and other software. These malicious programs can perform a variety of functions, including stealing, encrypting or deleting sensitive data, altering or hijacking core computing functions and monitoring users’ computer activity without their permission. This combination has enabled commercial malware providers to supply sophisticated black markets for both malware and the information that it collects. Computer-enabled fraud and service theft evolved in parallel with the information technology that enabled it. The term malware was first used by computer scientist and security research YisraelRadai in 1990. Before the term malware, malicious software was referred to as computer viruses. 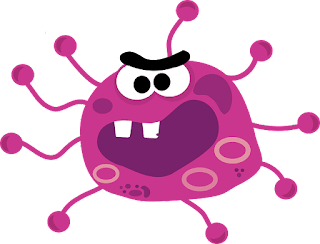 One of the first known examples of malware was the Creeper virus in 1971, which was created as an experiment by BBN Technologies engineer Robert Thomas. What is the purpose of creating a Malware? Initially, it started as a prank among software developers. However, later on, malware converted into a full-fledged industry of black and white market. It may be used by black hat hackers or even some governments for monitoring their targets. Demand for sophisticated malware is created primarily by organised crime syndicates and state-sponsored espionage agents. And intellectual property such as computer software, financial algorithms, and trade secrets. To ransom money in Bitcoin, for example, Wannacry Ransomware. Spy on computer users for an extended period without their knowledge, for example, Reign Malware. It may be designed to cause harm, often as sabotage for example Stuxnet. Extort payment for example Cryptolocker. Adware: The least dangerous and most lucrative Malware. Adware displays ads on your computer. Spyware: Spyware is software that spies on you, tracking your internet activities in order to send advertising (Adware) back to your system. 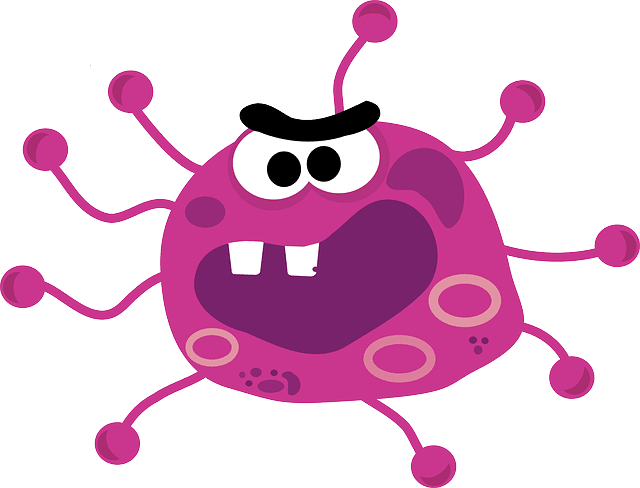 Virus: A virus is a contagious program or code that attaches itself to another piece of software, and then reproduces itself when that software is run. Most often this is spread by sharing software or files between computers. Spam: Spamming is a method of flooding the Internet with copies of the same message. Most spams are commercial advertisements which are sent as an unwanted email to users. Spams are also known as Electronic junk emails or junk newsgroup postings. These spam emails are very annoying as it keeps coming every day and keeps your mailbox full. Worm: A program that replicates itself and destroys data and files on the computer. Worms work to “eat” the system operating files and data files until the drive is empty. Trojan: A Trojan horse or Trojan is a type of malware that is often disguised as legitimate software. Trojans are written with the purpose of discovering your financial information, taking over your computer’s system resources, and in larger systems creating a “denial-of-service attack” which is making a machine or network resource unavailable to those attempting to reach it. Example: Google, AOL, Yahoo or your business network becoming unavailable. Backdoors: Backdoors are much the same as Trojans or worms, except that they open a “backdoor” on a computer, providing a network connection for hackers or other Malware to enter or for viruses or SPAM to be sent. Rootkit: This one is likened to the burglar hiding in the attic, waiting to take from you while you are not home. It is the hardest of all Malware to detect and therefore to remove; many experts recommend completely wiping your hard drive and reinstalling everything from scratch. It is designed to permit the other information gathering Malware in to get the identity information from your computer without you realising anything is going on. Keyloggers: Records everything you type on your PC in order to glean your log-in names, passwords, and other sensitive information, and send it on to the source of the keylogging program. Many times keyloggers are used by corporations and parents to acquire computer usage information. Rogue security software: This one deceives or misleads users. It pretends to be a good program to remove Malware infections, but all the while it is the Malware. Often it will turn off the real Anti-Virus software. Ransomware: If you see this screen that warns you that you have been locked out of your computer until you pay for your cybercrimes. Your system is severely infected with a form of Malware called Ransomware. Even if you pay to unlock the system, the system is unlocked, but you are not free of it locking you out again. Browser Hijacker: When your homepage changes to one that looks like those in the images inserted next, you may have been infected with one form or another of a Browser Hijacker. This dangerous Malware will redirect your normal search activity and give you the results the developers want you to see. Its intention is to make money off your web surfing. Using this homepage and not removing the Malware lets the source developers capture your surfing interests. How does a Malware spread? Email: Cybercriminals are notorious for including malicious attachments and links in emails that appear to come from friends, reputable organisations, or other trusted sources. Some malicious emails can even infect your computer from the email client’s preview pane, without your opening or be downloading an attachment or a link. The Internet: Surfing the Web may feel like a private activity, but in fact, you’re exposing your computer to unwanted contact with anyone else who has a computer and Internet access. Outdated software: Malwares can crawl the Internet, looking for vulnerabilities of outmoded software to spread its influence over computer systems. Local Area Networks (LANs): A LAN is a group of locally connected computers that can share information over a private network. If one computer becomes infected with malware, all other computers in the LAN may quickly become infected as well. Instant messaging (IM) and peer-to-peer (P2P) file-sharing systems: If one is using a client for these online activities, malware may spread to your computer. Social networks: Malware authors take advantage of many popular social networks, infecting the massive user-data networks with worms. If a social website account is infected with a worm, just about anyone who visits a poster’s profile page could “catch” the worm on her system. Pop-ups: Some of the most sophisticated malware spreads through well-disguised screen pop-ups that look like genuine alerts or messages. One particularly devious and widespread “hoax pop-up” claims to have scanned your computer and detected malware. If you attempt to remove the malware as urged, you’ll actually install the malware. Computer storage media: Malware can be easily spread if you share computer storage media with others, such as USB drives, DVDs, and CDs. While it may seem safe to open a CD of photos from a colleague, it’s always best to scan unfamiliar files first for possible corruptions or security risks before you copy or open them. Mobile devices: Mobile malware threats have become increasingly prevalent, as more people use their smartphones and tablets as mini-computers, helping malware problems proliferate across additional platforms.